LOH Digital can help your law firm to reach hispanics looking for services your law firm offers. How do we do it? 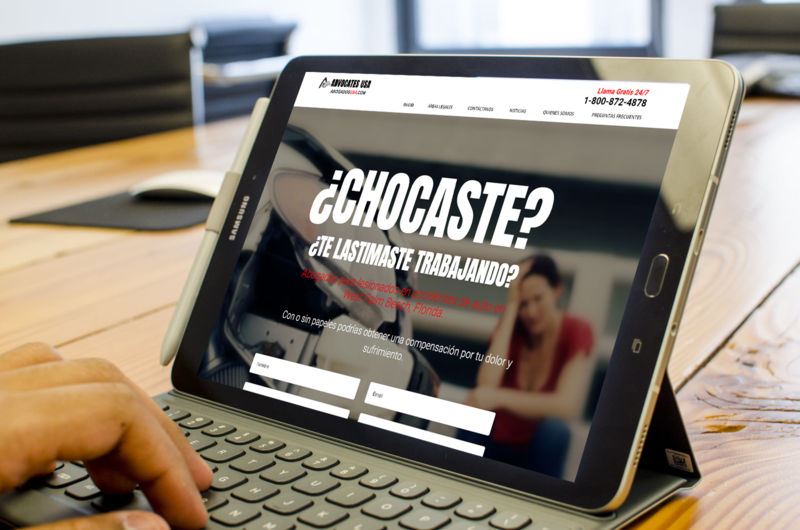 We create Spanish websites for lawyers that are 100% custom and 100% in Spanish. We don't translate websites, we create new Spanish websites and all the content is original. Also we do Google PPC and SEO campaign to optimize your law firm website. We are experts when it come to writing the content and we provide our lawyer customers with websites with high relevance and consistency for google to rank your Spanish lawyer website high on the page when a hispanic does a search. 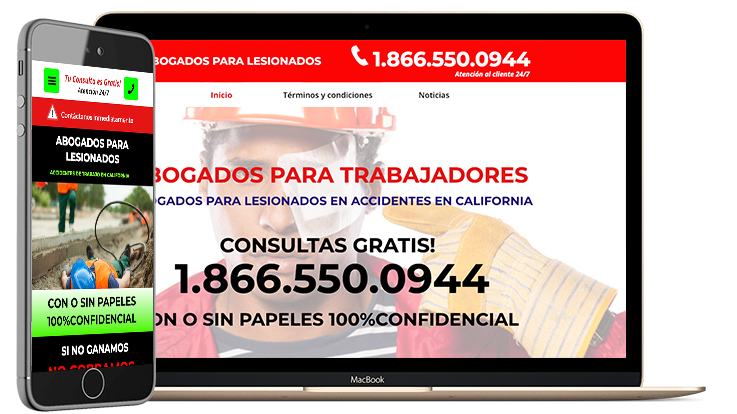 We create Spanish language websites for personal Injury law firms, Auto accident law firms, work Injury law firms, Employment rights law firms, Discrimination law firms, criminal law firms, immigration law firms and any other law firms that may need a Spanish language website. We also do Google my business pages in Spanish, videos in Spanish for law firms and social media management in Spanish for law firms. Having trouble getting your small business site to rank in the search engines? Not even sure where to start? This post will provide you with 9 simple hacks to ensure your site is properly optimized and starts ranking as soon as possible. Website design in Spanish for law firms and lawyers. 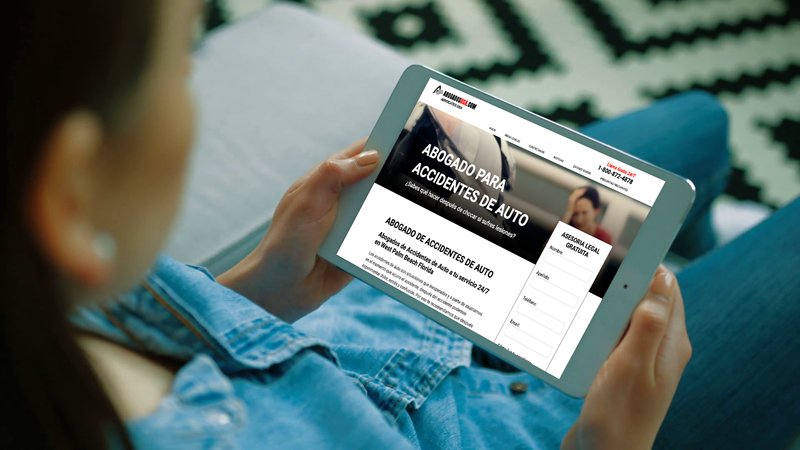 Loh Digital can help you reach to the hispanic market with a spanish website and Google ppc ads in Spanish. New smart devices are emerging, and Hispanic consumers are embracing new ways to interact with them, like voice commands. 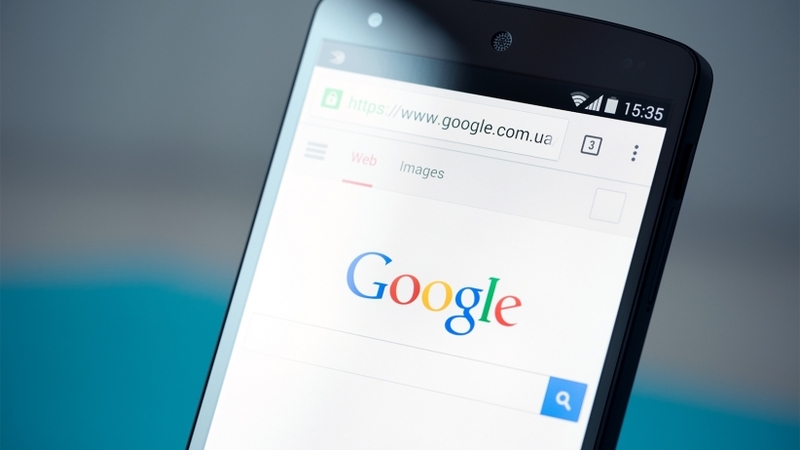 As a result, the micro-moment behaviors kick-started by mobile will only multiply. Copyright ©2019 La Opinion Hispana dba LOH Digital, All rights reserved.